Today i am going to write on Oriflame Giordani Golden Jewel Lipstick in shade Rose Blossom. If you are not so much into bold or bright shades,then it is a best option for you for regular or even office wear. Lets see how good it is.. Shelf Life: 2yrs. from mfg. My Take on Giordani Golden Jewel Lipstick "Rose Blossom": I have very dry lips and i always need to moisturise it. That's the only reason i always in search of a lipstick which have good moisturising capacity. I found all oriflame lipsticks have good moisturising capacity especially their high range ones. I got this lipstick as a gift in one of my order from oriflame,they gave me options to choose one shade from this range and i choose this one by seeing the catalogue and i am totally happy with my decision . This one is a very pretty pinkish mauve shade which looks very natural on my lips. A single swipe brings the perfect color to lips. This shade is well pigmented but may be look a bit uneven on highly pigmented lips. It will look beautiful on medium to fair skin tone girls more. 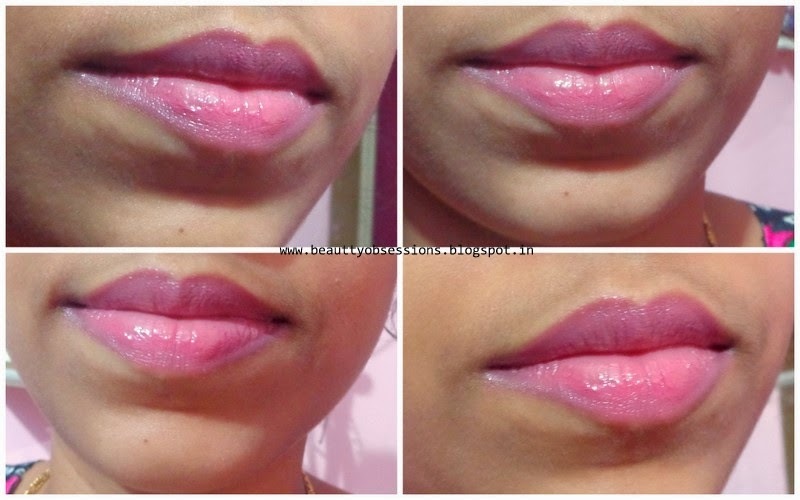 If you swipe more than two times to brings more finish ,then it looks patchy or horrible on lips. The lipstick is so much moisturised. I don't need any lip balm underneath it. It can easily transfer to glasses while drinking water. The staying capacity is maximum 4hours on my lips in between sort snacks and that is one of the drawbacks. The packaging is very cute and unique. It has golden and classy packaging. The lipstick comes inside a card board box which contains all information on it. Due this outer box you can carry this anywhere without any fear of breakage. That's the only lipstick i always carry in my bag while travelling. look good on medium to fair skin tone girls. Final Verdict: A very pretty pinkish mauve shade which look great on medium to fair skin girls. A perfect option for regular wear/office wear. This range also have some more pretty shades.. I have two of them and i love it. They are a bit pricey, but you can buy them during the discount time. ;). Have you tried any Giordani gold jewel lipsticks, do leave your comments below..